DOWNTOWN — For over a week, a low-flying small aircraft making daily flights over the city and surrounding suburbs was spotted by residents throughout Chicago. The plane, a Cessna Caravan owned and operated by the commercial real estate information database CoStar, was gathering data and images of new construction in the greater Chicago metro area. The team wrapped up its latest assignment in Chicago prior to Thanksgiving. Overseeing the effort is aerial research photographer Amber Surrency, a United States Marine Corps veteran based in Florida. For the Chicago assignment, the team was tasked with updating imagery and information on over 400 sites. 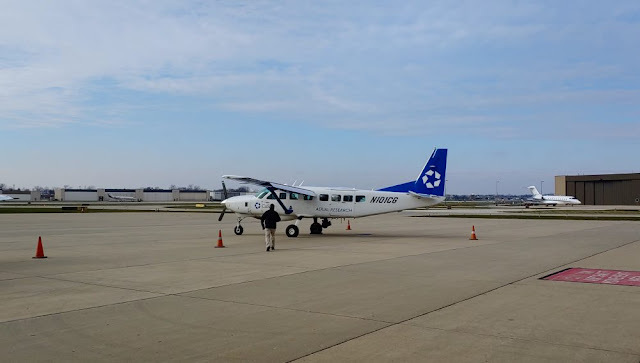 Surrency and crew complete two three-hour flights each day and document high-resolution images and other data utilizing a 6K RED Dragon camera mounted to a carbon fiber Cineflex stabilization system. Surrency, who was in Chicago for an assignment at the same time last year, said she has documented a noticeable increase in new multi-unit buildings and hotels. And with numerous mega-developments in advanced planning stages, the city’s landscape will continue to change dramatically in the coming years. 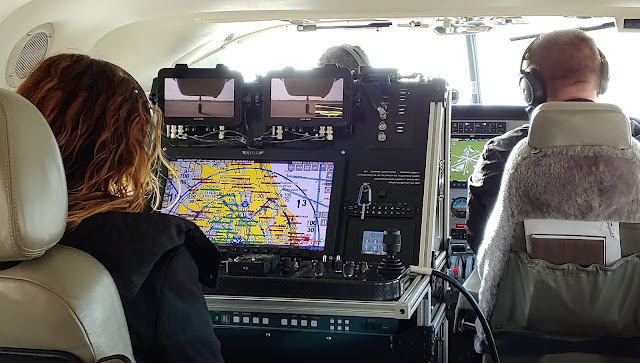 Chicago’s notoriously unpredictable weather and congested airspace presents challenges to completing the entire assignment in the alloted time. However, Surrency said the team does typically complete a market on schedule. Despite the growing popularity of drones for video and imagery, Surrency said that using a small aircraft is much more efficient, allowing the team to cover more territory and ultimately complete more research. Small aircrafts are also more conducive to covering data points in both developed urban and rural areas, she adds. Covering 136 different metro areas throughout the country, Surrency said Chicago is one of the most unique markets to document. “Flying over the lakefront and Sears Tower is always an amazing experience,” she said. There is always a reason and then "the" reason. It is called un-taxed property viewable from above. Walmart is going to see an increase in blue tarp sales. Spot on my friend. Google has sold data like this to local governments for years. Yep Google... a search engine ... LOL, right!